Sold Out. No tickets available. Eric Spade Rivas, New York, NY. Feature, 91:00, World Premiere! 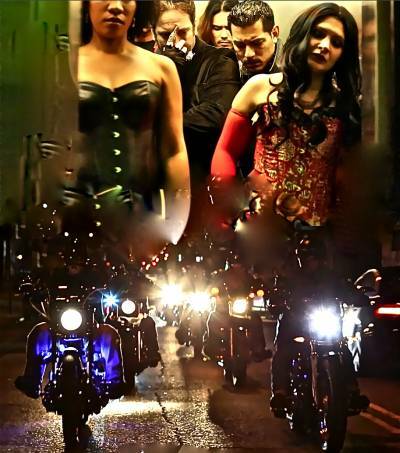 Vamp Bikers tells the story of a biker town that becomes infested with a clan of ancient vampires hungry for blood. Bikers then Become Vamp Bikers and Chaos erupts as it comes down to a last man standing equation. Real Bikers Real Cult Classic Warriors and real driven folks. Featuring Dorsey Wright, Brian Tyler and Apache Ramos, from the Cult Classic "The Warriors".